The 1374 mile Syr Darya River runs through the Tian Shan Mountains in Kyrgyzsta and to the Aral Sea. 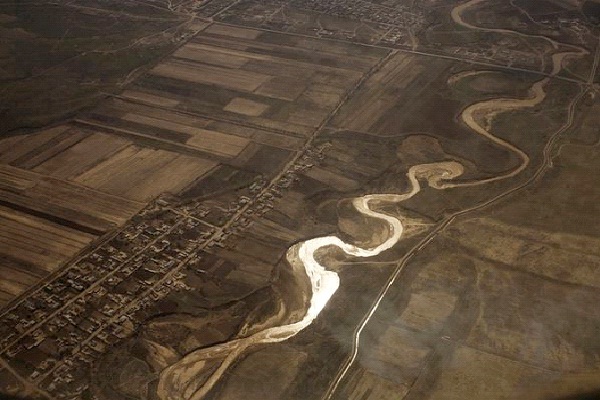 The Central Asia river covers a vast amount of ground as it zig zags through the country, under bridges and along the grassy shoreline. With mountain views, the river brings peace and tranquility.